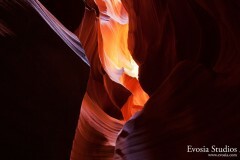 Happy new year from Upper Antelope Canyon in Page, Az! Wishing you all a happy and productive year! Happy New Year everyone! First sunrise of the new year, taken from the top of Griffith Park. I’ve finally decided to give my photography a dedicated website. I’m still in the middle of moving everything over from my blog, http://blog.evosia.com so if you want to see other photos not yet moved over, please head over there.